Psychoactive substances are those substances that affect or modify our emotional, intellectual or other behavioural functions (memory, movement, dreaming etc). Most substances we put into our body affect how we think, feel or act and are thus psychoactive. These foods often have a wide and subtle range of effects, from milk to coffee, rooibos and alcohol, all are psychoactive. In our modern consumer societies we have mostly been exposed to and are of aware of the very conspicuous ‘hard drugs’, those psychoactive substances and their effects such as such as cocaine, amphetamine and heroin as well as other strong acting psychoactives such as psychedelics. One reason for this is that these substances have gained a lot of media attention over the decades. Yet, most westerners are not aware of the great diversity of other more subtle acting psychoactive substances occurring in nature (in plants, animal fats or minerals) that traditional tribal people have used for millennia to heal the mind and nervous system. For example there are hundreds of plants used in South African traditional medicine to: stimulate and provide energy, sedate and cause sleep or hypnotic states, enhance intuition and sensitivity and improve memory, uplift mood and produce euphoria and to reduce stress etc. Thus, there is a continuum of psychoactive effects from most of the food and medicinal plants we put into our bodies through eating, smoking, drinking or administering as enemas, steaming or injection. 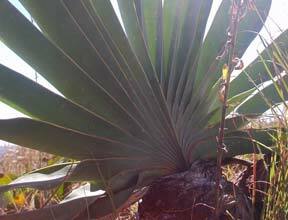 Traditional African people, like those of other traditional societies from around the world use a variety of psychoactive plants to treat conditions such as headaches, convulsions, epilepsy, dementia, anxiety, hysteria, and other mental conditions or to increase memory and awareness in spiritual practice. One interesting example is that of Frankincense that has been shown to have anxiolytic effects (reducing anxiety) from studies done by John Hopkins University (see Sobiecki, 2014). This is very similar to the use of Impepho, an African incense plant used by traditional healers while divining and praying to their ancestors, and both plants are used to relax and calm the nervous system that promotes a mindful or meditative state that is conducive to spiritual practice. In this way psychoactive plants are used as a technology in South African traditional medicine to facilitate spiritual practice as well as to heal the mind (Sobiecki, 2014). Much of this psychoactive plant use has not been researched in South Africa or explored in modern society and which holds valuable keys in treating and healing conditions effecting the nervous system. This is especially true to the use of African ubulawu medicines that works simultaneously to clean the body and sharpen and heal the mind. See paper below. There is also an increasing interest in exploring psychoactive ethnomedicines such as ayahuasca for personal development and spiritual practice yet there is a great lack of education and guidance on integrating these plant medicine experiences into ones life (post journey experience) which has inspired me to create workshops for the public education and health promotion around this plant use that I will be running at the garden. From the preliminary research I have done very interesting cross cultural patterns of psychoactive plant use have emerged between South American and South African traditional medicine that could potentially have significant therapeutic implications in treating drug addictions and healing various mental illnesses. The Khanyisa ethnomedicine gardens aim is to document and study this plant use so we can better understand how holistically acting traditional plant medicine works to heal the nervous system and apply this, perhaps as new types of medicine in the future. 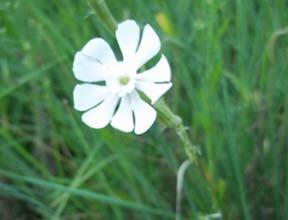 A Silene species used in South African traditional medicine to open sensitivity, intuition and dreams. 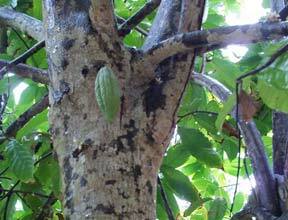 Boophane disticha a potent psychoactive used to spiritually diagnose with and that is toxic in narrow dosage ranges.